Clinicality Press are elated to announce that Karl van Cleave’s collection of short stories, entitled Incisions, Collisions and Aborted Missions will be published as an e-book via Amazon Kindle and Smashwords on 28th February 2012. Van Cleave made his Clinicality debut in the Clinical, Brutal… anthology in 2012 and has since featured in the Clinicality blogzine. 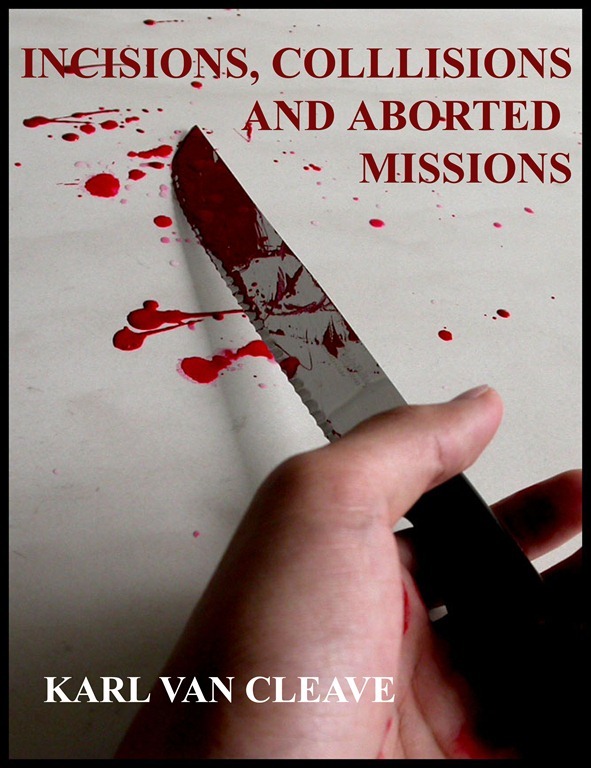 Incisions… contains 6 short and brutal stories and is Karl’s premiere solo publication. Written in blood with no detail too unpleasant, Karl’s writing is not for those with a delicate disposition. We’re giving away ‘Blades’ as a free taster over at Smashwords. Incisions, Collisions and Aborted Missions will be priced at £3.99 on Amazon.co.uk and (approximately) comparatively on international sites. Links to follow: watch this space.